There are only three things in Khasab — diving, goats, and smuggling. 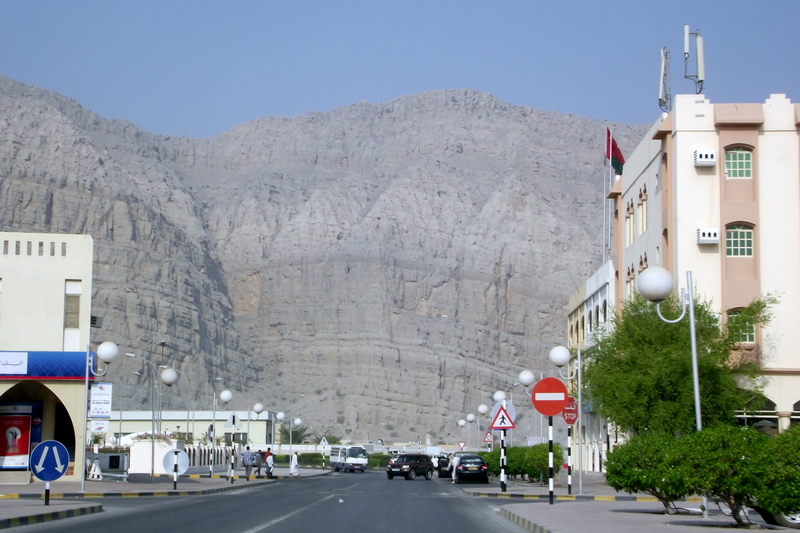 A tiny town about a three-hour drive north of Dubai, Khasab is the capital of the beautiful Musandam Peninsula, the most northern tip of our neighbour to the east, Oman. However, it is only accessible by land from the UAE, kind of like how Alaska is separated from the rest of the US by a huge swathe of land known as Canada. Oman, being right across the border, makes it a popular day-trip or short getaway destination for people living in the UAE. We rented a car for three days, and headed off on our first road trip. 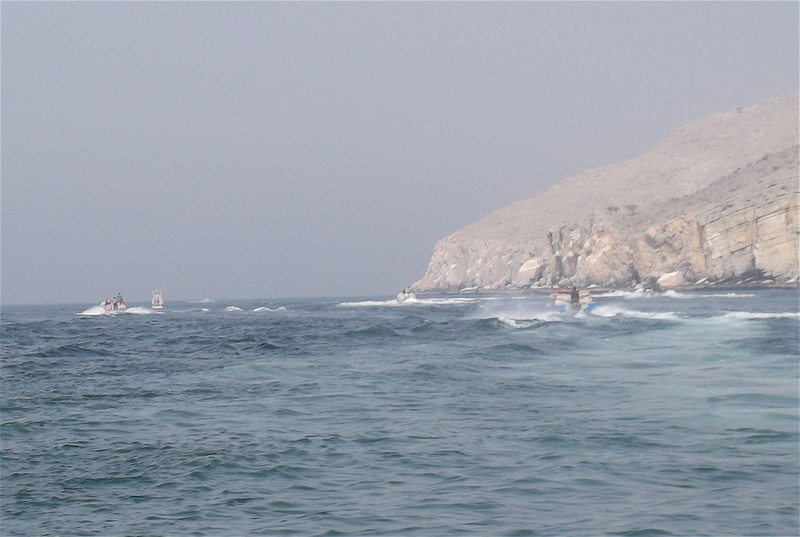 Diving is something new in Khasab, but then again almost everything is ‘something new’ in Khasab. Six years ago there were no roads to the town and the only access was by sea or air. It was completely isolated until a beautiful new road was paved connecting the UAE to Khasab. With the road came a small influx of immigrant workers to pick up garbage and do construction, and tourists who drove up the exquisite coast line to enjoy the rugged scenery, the beauty of the towering mountains, the crystal clear beaches, and dhow trips for dolphin watching. You don’t see any women out and about in Khasab, as I assume they are all in their homes. Whenever we went out people stared at us, as I suppose foreigners are still an oddity, and white women even more so. What you do see a lot of is goats — and keep this in mind for later, because it will be important. Khasab is a mere 40 kilometres from Iran by boat ride, or about an hour’s boat ride, across the Strait of Hormuz. The smuggling trade from Oman into Iran started when Iran closed its borders following the 1979 revolution, and expanded during the Iran-Iraq war in 1988. 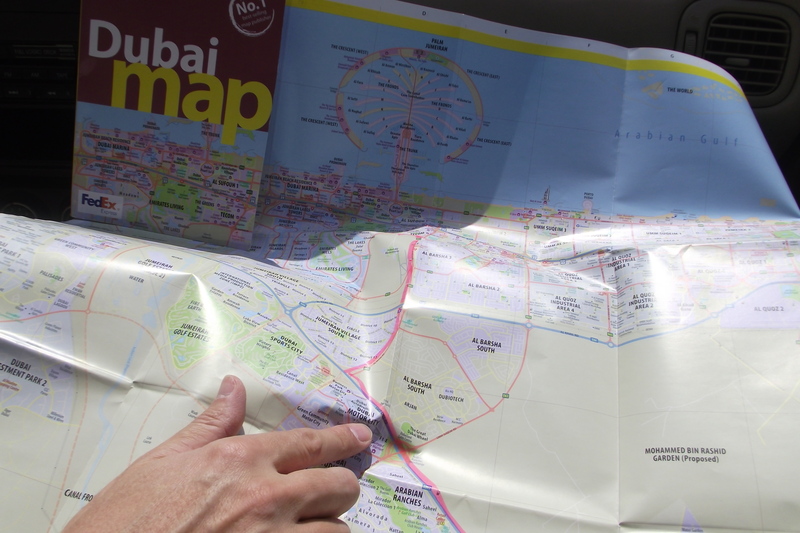 With US sanctions in place against Iran, the new road connecting Khasab with the open market of UAE cities like Dubai caused the smuggling business to explode in the last few years. This is how it works, and really, it is a fascinating story: every day, the Iranians load up boats full of goats. They cross the Strait of Hormuz, and land in Khasab. They off-load the goats, and the trucks take the goats south along the new road into the UAE, to the city of Ras Al Khaimah (RAK). In RAK they sell the goats to local butcher shops, and fill up the trucks with a wide variety of goods — flat screen TVs, shoes, electronics, cigarettes, alcohol, any and every thing that your modern Iranian desires. They drive the trucks back up to Khasab, wrap up all the goods in waterproof packages, fill up the boats, and off they go to Iran, passing both the coast guard and the military base along the way. We reached our dive site after about 45 minutes and descended. The dives were amazing as the area is pretty much untouched by mass dive tourism. We were the only divers there and had the reefs all to ourselves. The reefs were very alive and very colourful, and seemed to be very healthy. We dove Eagle Bay and the Coral Gardens, where we saw turtles, nudibranches, groupers, clownfish, everything you could imagine. It was beautiful. On our boat ride back from our dives, zooming across the blue waters of the Strait, the smuggler’s boats started passing us by heading in the opposite direction. Young, wiry, brown skinned boys with bandanas across their noses and sunglasses on their faces. The boats were small but the engines were big, and very fast. They waved as they went past, the boats full from bow to stern with huge packages, piled one on top each other. I could only imagine what they had in each boat. Whiskey? DVD players? Mobile phones? Nike shoes? The irony is that the US embargo against Iran is only fueling the smuggling trade. If you think this is small potatoes, moving TVs from a tiny middle-of-nowhere Omani town to another tiny middle-of-nowhere Iranian town, don’t be fooled. The trade is worth billions of US dollars a year. And the people of Khasab seem to be doing well, judging by the number of huge mansions going up along the road. The people of Khasab are leaving their fishing villages and stone huts to get rich smuggling, and I have no doubt their new houses have satellite dishes and plasma TVs. 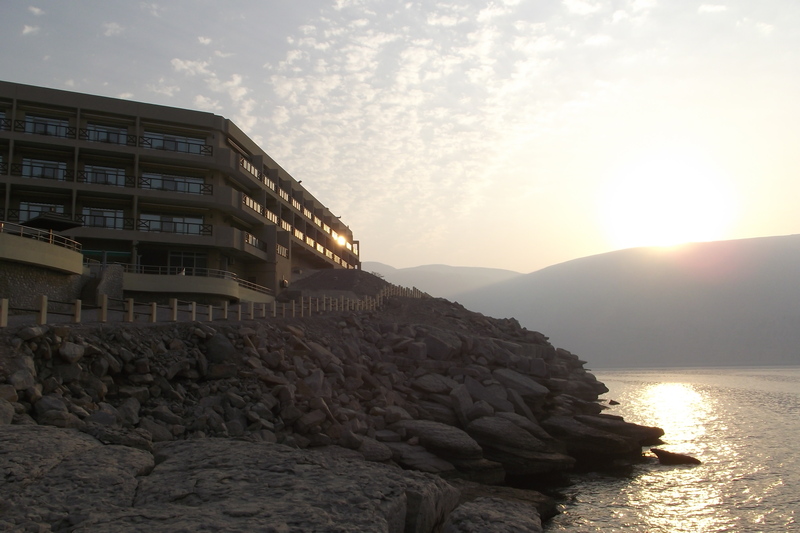 This was my first trip to a Middle Eastern country since arriving in Dubai, and although Khasab definitely has its own rugged beauty, I probably would not go again because the town is really so dead and there is nothing to do after your day of dives. The hotel was lovely but a can — yes a CAN — of beer was almost US $8. It was disappointing not to find any local Omani restaurants to eat some authentic food, and trust me, after three days of eating biryani, you never want to eat Indian food again! Nonetheless, this first road trip in the Middle East was great, and Khasab felt like a real Middle Eastern town in comparison to Dubai where everything is so new and modern and shiny. 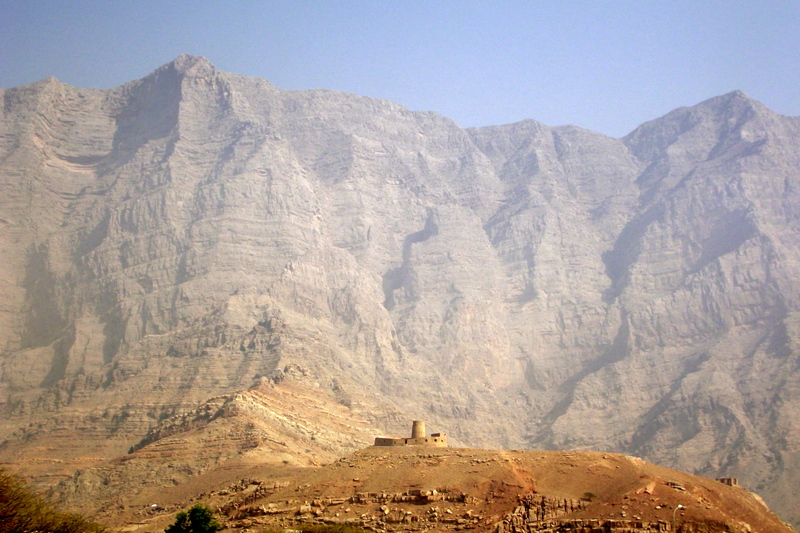 We are certainly very lucky that Oman is just a border crossing away. Driving time: A little over three hours, though we stopped for lunch and picture taking. One tank of gas was fine. Bring booze? Not sure of the laws for taking alcohol in to Oman by car. We didn’t bother to risk it. Dress code? Like I said, women are hidden away in this conservative town so as a foreign woman I would at least wear a shirt with sleeves, and no tight short pants. I was about to ask about dress code and what not but the logistics pretty much answered all the questions i had. great post!